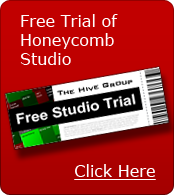 Richardson, Texas (July 1, 2014) – The Hive Group, the world’s leading provider of enterprise treemaps, today announces the release of Honeycomb Thin 6.0, extending and improving treemap functionality for users of iPhones, iPads, and Android smartphones and tablets. With no Java or other plug-ins necessary, Honeycomb Thin 6.0 also offers more flexibility when making deployment decisions for traditional desktop environments. Honeycomb Thin was first introduced in 2007 with the simple objective of offering a “no plug-in” alternative for traditional desktop deployments. Today, its charter and relevance are greatly expanded, reflecting the ever-increasing portion of web traffic attributed to mobile devices. With smartphone and tablet users in mind, Honeycomb Thin 6.0 automatically adjusts its layout and control interfaces to optimally accommodate mobile usage on both larger tablets and smaller smartphones. Honeycomb Thin accommodates common multi-touch gestures such as pinch and swipe; and offers access to filters and controls with specific screen size and rotation taken into account—optimizing the use of screen real estate. “We’ve improved Honeycomb Thin in several ways with the 6.0 release: offering more sophisticated cell label support, making the controls more user friendly, and optimizing the mobile interface for both iOS and Android devices. There was also significant work 'under the hood,' notably: Honeycomb Thin now accepts the same configuration parameters as Honeycomb Rich—which means Honeycomb Rich designers can build Honeycomb Thin applications without additional training,” commented John Finkelstein, Director of Engineering at The Hive Group.